Sarah Pirri lives in Canada. She is 28 and she's a vegan athlete. 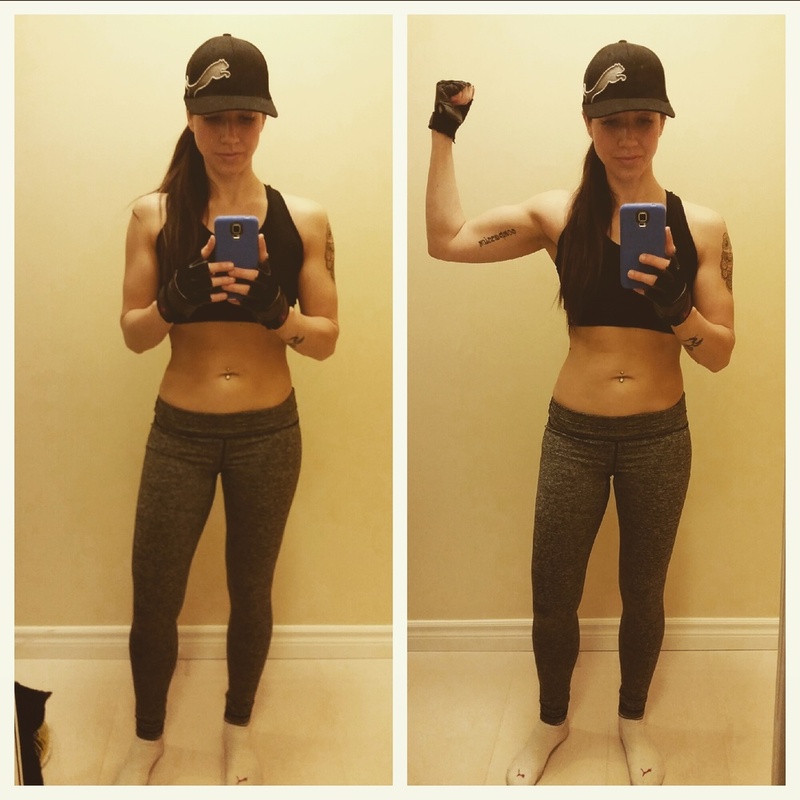 Sarah went from eating typical athlete food to going vegan and she has no regrets! Below, you'll find out how eating meat effected her athletic performance, why she went vegan and what she experienced as a result of making that shift. What did you eat before you shifted to a vegan diet, and how did it effect you as an athlete? My meals typically included chicken-and-salad. We call them "gym rat" meals. They didn't help me physically, nor did they keep me healthy. I was always bloated, I felt gross, and as a result, I didn't feel fueled throughout my workouts. As most "gym rats" following this regime, we were taught to avoid carbs as they are frowned upon. We were also told that we needed tons and tons of protein. I later learned how to calculate my protein intake and realised that I can skip out on the chicken, and go for more sustainable and healthier options, such as, beans, legumes, grains, vegetables, etc. I also learned that carbs were my *friend* and that my body thrived on them! They definitely helped me fuel my workouts! Did you try different diets? I had tried a number of diets but none of them had this effect on me. Going vegan made me become more health conscious. I soon realised that the vegan diet was the most sustainable one, and it was also one of the healthiest ways to eat! It didn't take me long to start reaching my goals. Now I am setting more challenging goals and working on achieving them. After adopting a vegan diet, I lost, and maintained a loss of, 30lbs! This was almost impossible for me on previous non-vegan diets! I had also learned that those low-carb non-vegan "diets" resulted in temporary weight loss. Most people ended up gaining the weight back. However, with a plant-based, whole foods lifestyle, I that I didn't need to "diet", I just needed to be more conscious of what I ate long-term. What else did you notice after shifting to a vegan diet? As mentioned earlier, I felt quite yucky on a non-vegan diet. Most people don't realise how much of an impact food can have on longevity, and perhaps more importantly, our quality of life. I now have more energy throughout my workouts, and recovering from them is no longer an issue. Why did you decide to go vegan? I have always been an animal lover, but once I became more open-minded, I realised that my dog is just like the animals that end up on our plates. They all have the ability to love, they're smart, they respond to their own name, etc. I made the connection between my pets and the animals that are eaten. and realised that there's no difference between them! I was also frustrated with feeling bloated, which was caused by not consuming enough fibre from my meaty-diet, and I had to do something about it! After eliminating meat and dairy, I was leaning out, and almost never felt bloated. In addition to that, my eczema was virtually gone, and I'm happy to say that it's now disappeared completely! I feel more energised and I was excited about continuing to learn about the food we eat, and how it effects fitness. How quickly did you notice the impact of the shift? Was the impact positive or negative? The impact of going vegan was 100% positive, and the benefits started after one or two months. I changed in other ways too! I was tasting things differently and venturing out, by experimenting with different cuisines! I now enjoy making different popular, cultural, vegan dishes, such as, channa masala, Italian bean soup, hummus, spring rolls, etc. Do you have any advice for non-vegan athletes who are considering shifting to a vegan diet? Start off slow: fitness and eating plant-based is a journey. How fun it is will depend on your outlook. Try different things: different foods and ways of exercising, and see what works best for you. Hiking may be best for one person, while yoga could be 10 times better for someone else. Read/listen lots! I highly recommend listening to fitness tips from the Vegan Proteins podcasts. They share hundreds of tips on meal prepping and fitness regimes. How did Matt perform as a boxer after he went vegan?